It’s good to have a website that is beautiful, attractive, appealing and easy to access but what’s the point having a cool looking site that gets no visitors? SEO provides the opportunity for small businesses to stay at the same level with larger corporations having millions available to throw around for big-time advertising. If you’re ready to take your business to the next level through a super website, here is how you can do it. Search engines, consumers, webmasters and the entire internet is based on the use of keywords. Before you start the design of your website make sure that you analyse your business and determine the keywords that are regularly used to describe it. Make use of keyword tools from Google and others like Wordtracker to find out the best keywords that describe the service you offer or products you sell. These keywords should be integrated within your website before you begin your SEO campaign. Tip: The keywords that are most relevant to your business should already be featured within the content of your site so see where you are currently ranking for them. Now that you know how important keywords are it’s important to realise that you that you can’t just place them anywhere. They must be placed strategically within the content of the site which will allow the search engine crawlers to associate them with your site and the rankings they produce should reflect this. Keywords are most useful when they are placed in the title tags, subtitles, meta descriptions, main website copy, internal links, H1, H2 and H3 tags and bullet points. Many people underestimate the importance of images when it comes to making their website SEO friendly. Do search engine crawlers have the capability to identify images on your website? No they but they can have a positive impact on your SEO ranking. Search engines have one major priority – to satisfy the millions of people looking for information every day. So make sure your images are of high quality, and that you include a description of them in the alt tags. Use original images as much as possible and add keywords to their descriptions. You should ensure that your images are easy to load when users visit your site so as not to turn them away. Include image dimensions and provide easy scrolling for pictures that you’ve organised in a gallery. Without doubt flash can help you make a very attractive looking website but the problem with flash is that it makes website pages hard to load and visitors don’t like that at all. If you must use flash make sure you avoid putting very important information in it that you want to be ranking for. After high quality content links are the next most important thing you will need if you want your site to be up there at the summit of the search engine rankings. Some SEOs are suggesting that Google are trying to lessen the importance of links with their Google and Panda updates however they are still extremely big ranking factors. Search engines respect you more when sites link to you than when you link to other sites and of course the sites linking to you need to be relevant to your industry and top quality, reputable websites. By making the URL of your web pages SEO friendly you make it very much easier for search engines to locate your website. So when creating your web pages make sure that you include keywords in them so that it will be visible to search engines and useful to humans too. Aaron Jones recently created a new website for his business. He hired a professional SEO expert to optimise it and he’s now ranking on page 1 of Google for several valuable keywords. 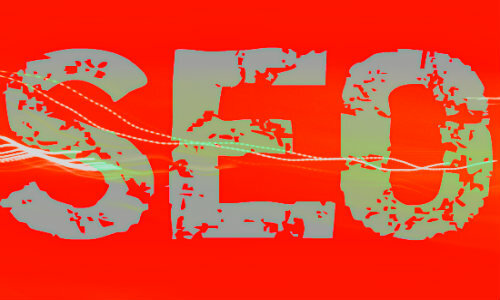 For more information on SEO visit www.pinnacleseo.co.uk. information you discuss and would really like to have you share some stories/information.